The property had a beautiful existing pool in the backyard. The home had been remodeled however, to create a more modern, art gallery aesthetic and the very traditional brick pool no longer suited the home. 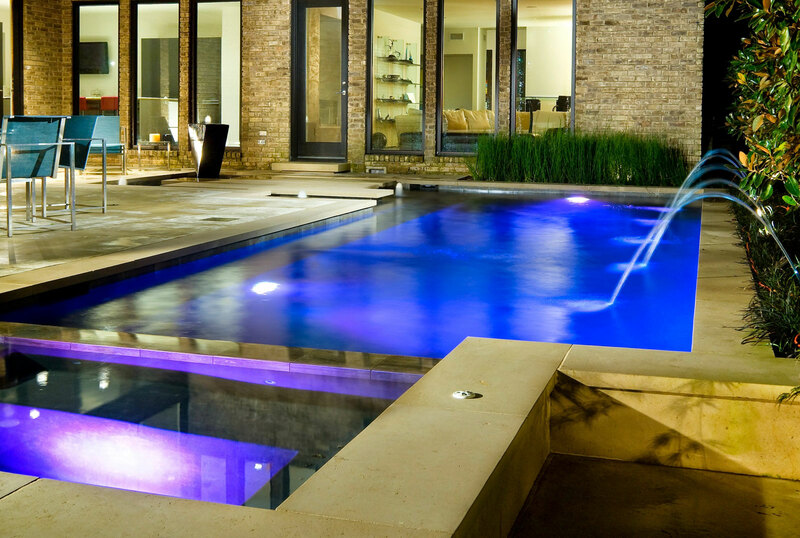 The desire was to complete the property with a modern backyard that was energized, yet relaxing. We created a curved wall in brilliant chartreuse stucco to act as an artful backdrop to our preserved bamboo sculptural installation. 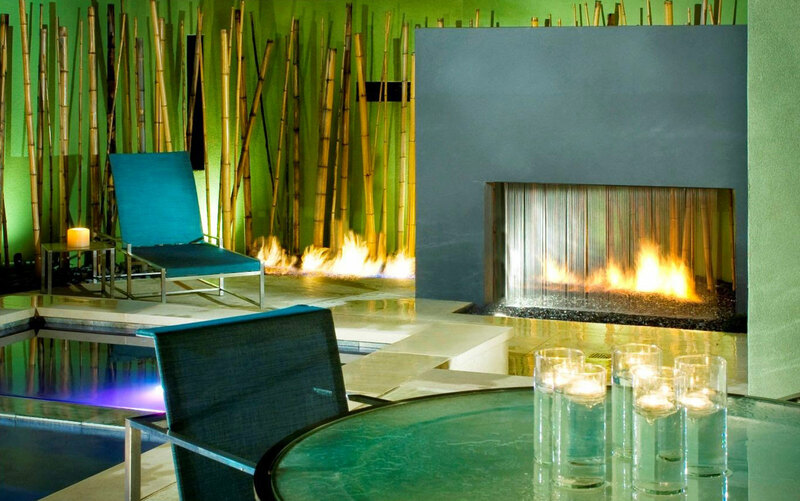 At the base of the bamboo we created a custom fire feature with fireglass. The opening of the accent wall has a rain curtain, falling into the same fireglass, suggesting an intermingling of fire and water, and creating a veiled view of the fire beyond. 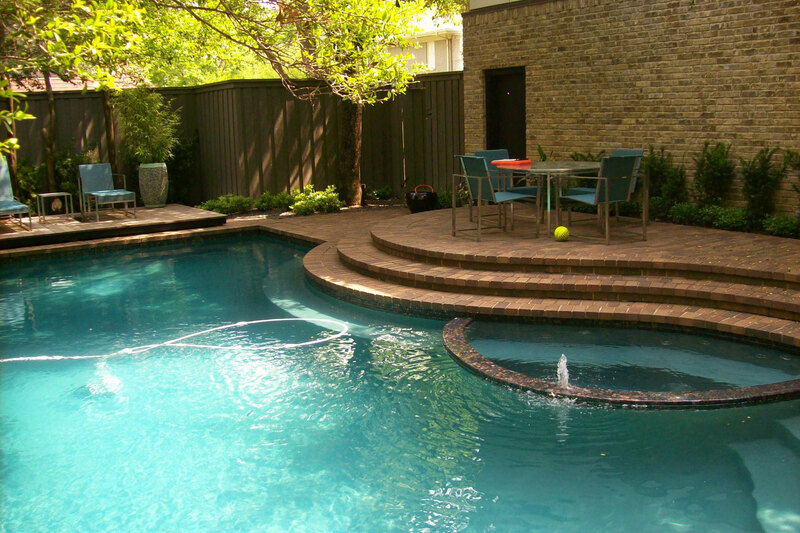 The property had a beautiful existing pool in the backyard. 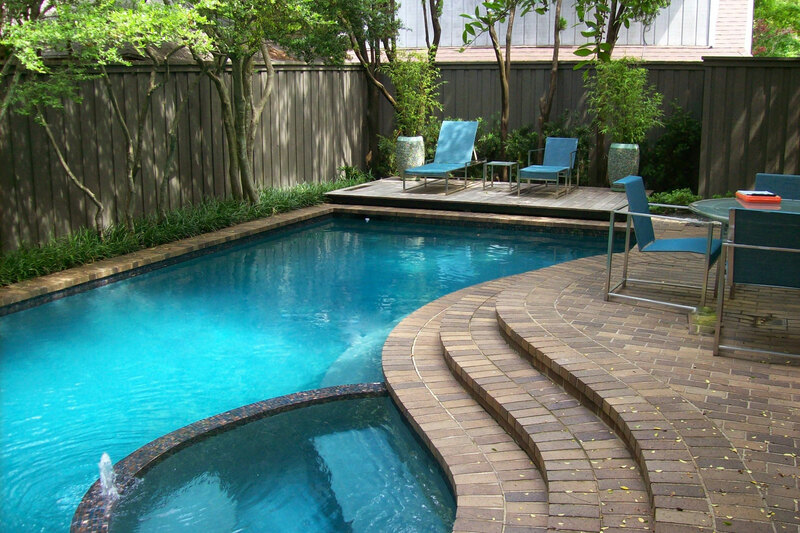 The home had been remodeled however, to create a more modern, art gallery aesthetic and the very traditional brick pool no longer suited the home. 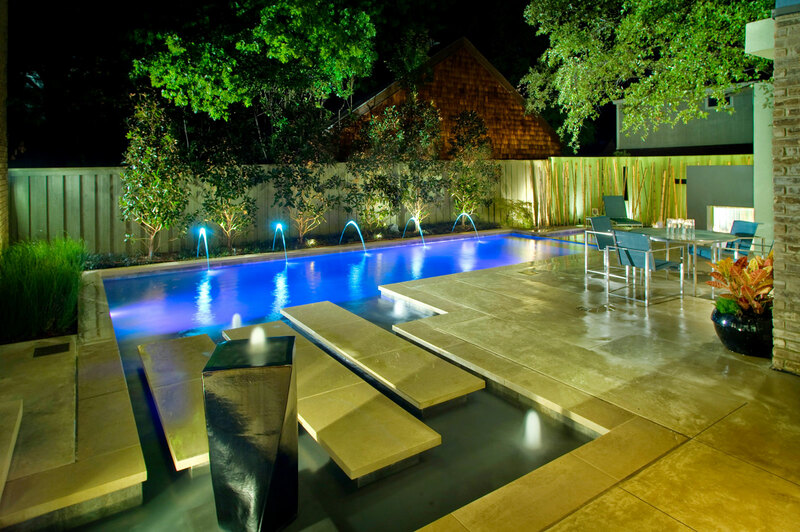 The desire was to complete the property with a modern backyard that was energized, yet relaxing. We created a curved wall in brilliant chartreuse stucco to act as an artful backdrop to our preserved bamboo sculptural installation. At the base of the bamboo we created a custom fire feature with fireglass. The opening of the accent wall has a rain curtain, falling into the same fireglass, suggesting an intermingling of fire and water, and creating a veiled view of the fire beyond.